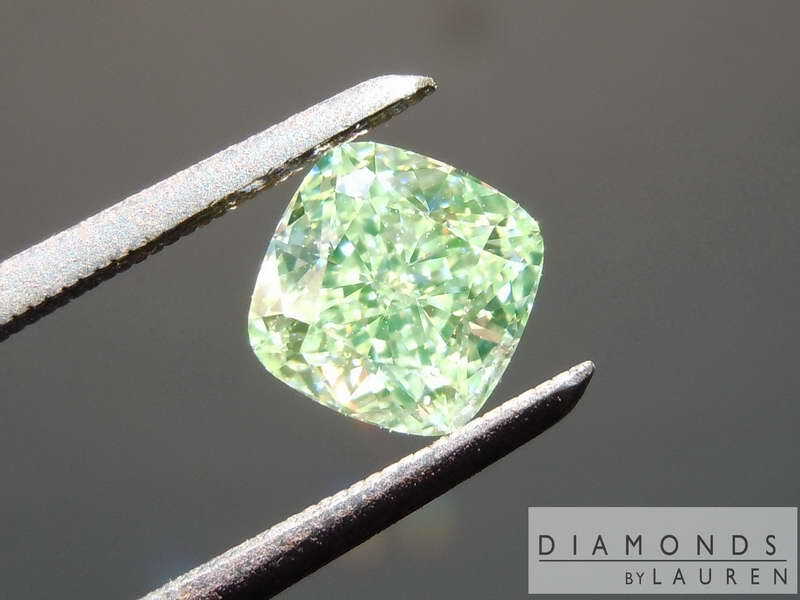 For you green diamond lovers! 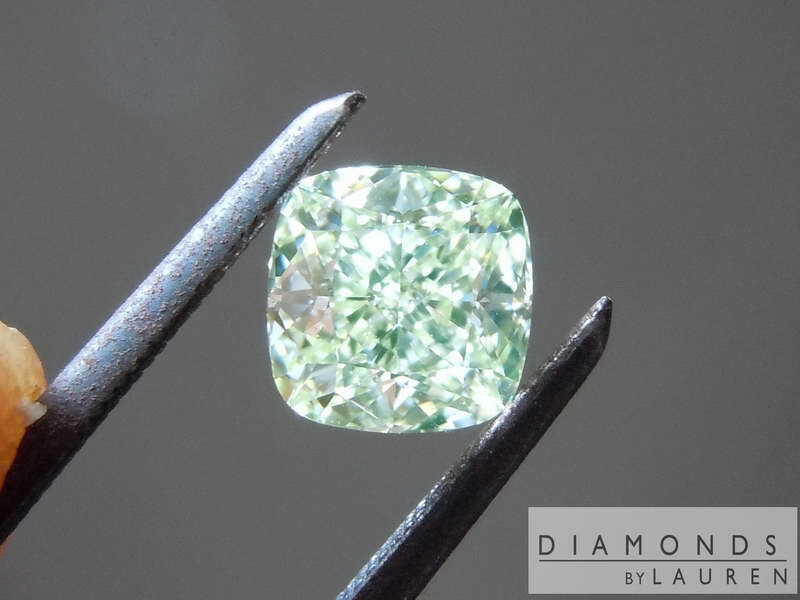 Pure Green, as you may know, is an extremely rare color in diamonds. 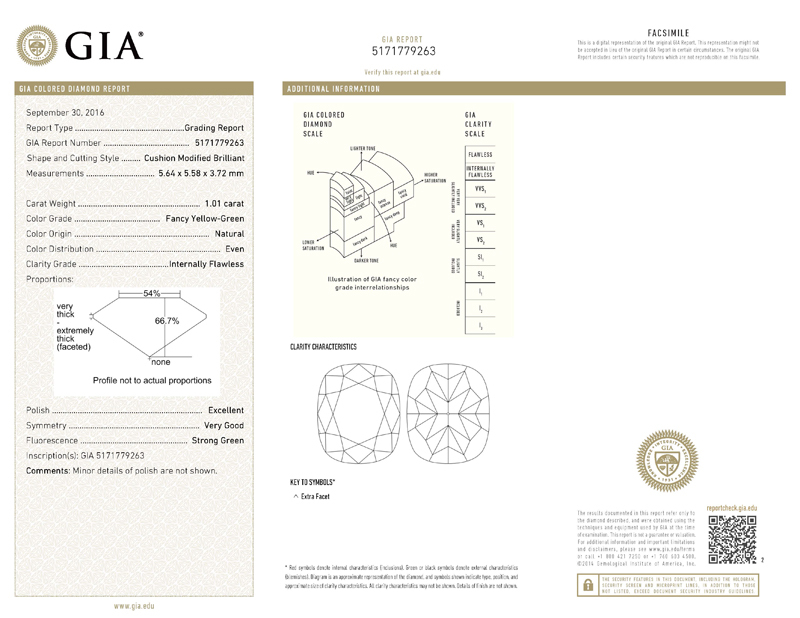 The modifying color here, yellow, is indeed faint. 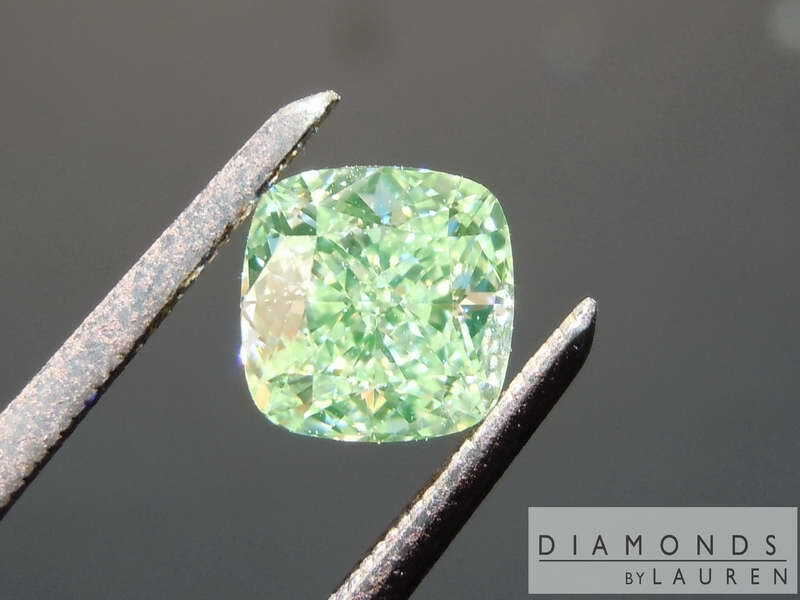 The strong green fluorescence is a boon to the green-ness of this gem. 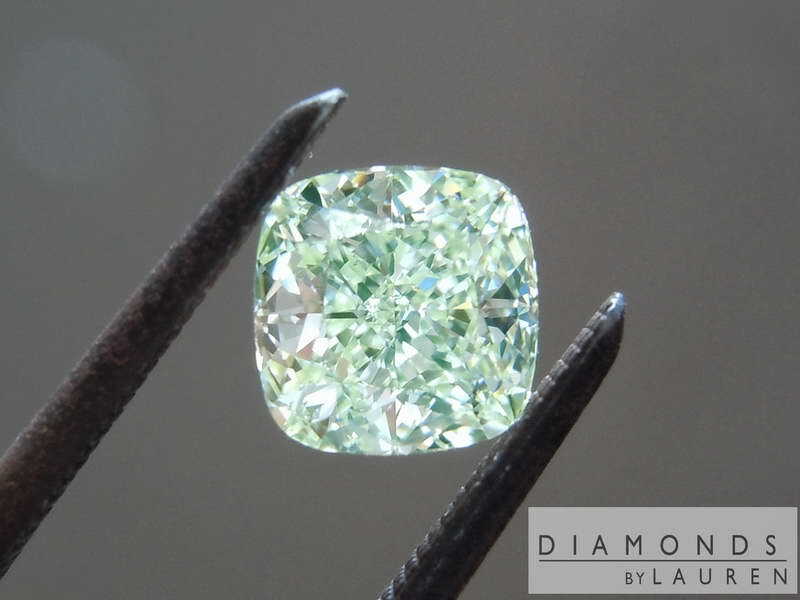 What we end up with is a light green color which is obvious in pretty much any lighting bright enough to focus on the diamond. 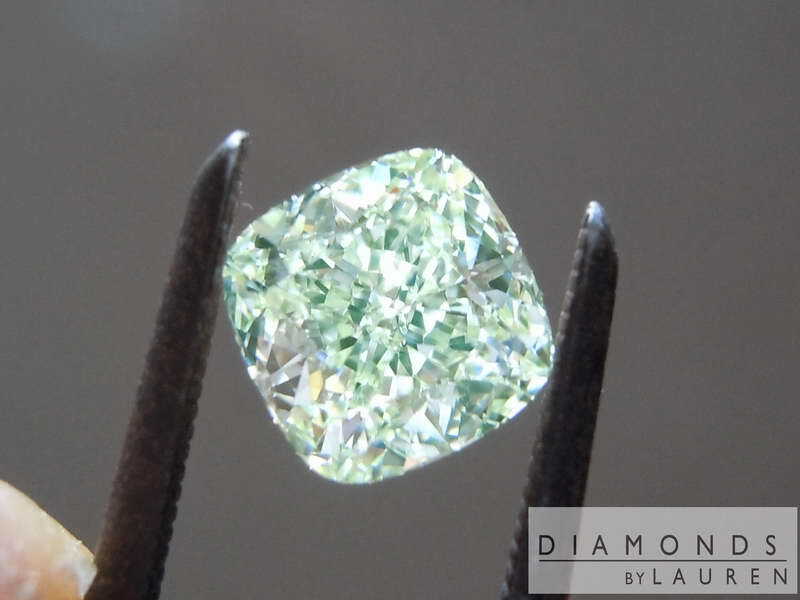 Internally flawless, and super well cut- it's rare and desirable gem.